The wholesale wallcovering industry was just not my cup of tea. So, one day, in my parents store, I picked up a Brunschwig and Fils wallpaper book. I opened it on the display table and was smitten! 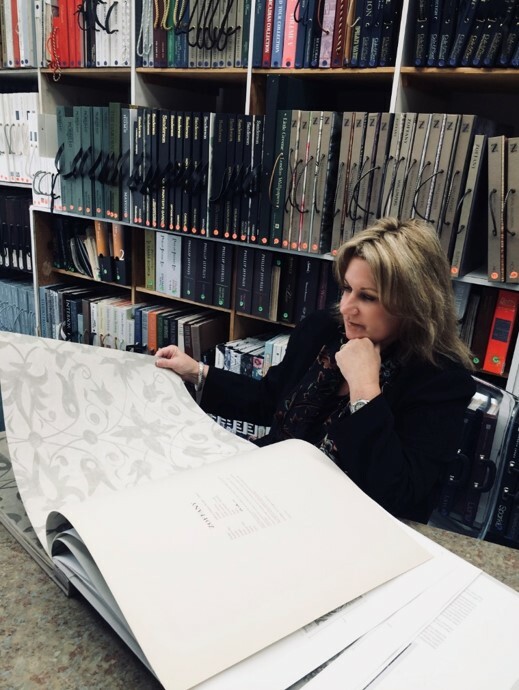 My folks retired after almost twenty-five years in the wallcovering and design industry; leaving me – after much grooming – to take over “The Four Walls” wallcovering and design studio. Today, The Four Walls offers a complete line of wallcoverings from all over the world, small boutique wallcoverings and designer fabrics. The Four Walls offers design services and many lines of designer fabric to fulfill your window treatment and upholstery needs, thus completing your whole interior design concept. We use reputable workrooms and staff to produce and install your project. Our workrooms and paperhangers are among the best in the industry. Our passion and dedication are on display throughout the New England area and beyond. Wallcoverings: Imported and Domestic designer wallpaper to enhance any room, residential or commercial. Thousands of varieties to suit you taste. Upholstering and reupholstering furniture and custom bedding ensembles. Window treatments: Hard treatments such as blinds, plantation shutters, drapery hardware. Soft treatments, roman shades, valances, panels and more. In home and on-site consultations for residential and commercial interior design projects to suit all applications. Today, The Four Walls offers a complete line of wallcoverings from all over the world, small boutique wallcoverings and designer fabrics. The Four Walls offers design services and many lines of designer fabric to fulfill your window treatment and upholstery needs, thus completing your whole interior design concept. We use reputable workrooms and staff to produce and install your project. Our workrooms and paperhangers are among the best in the industry. Our passion and dedication are on display throughout the New England area and beyond.